Pacific Rubber Rope provides a fast, secure and reliable method of securing Heavy Duty Truck Tarpaulins. 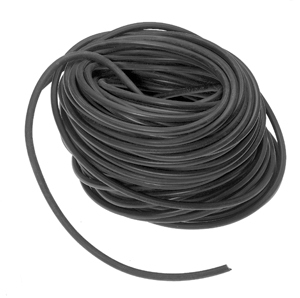 Pacific Rubber Rope is offered in two sizes, 3/8″ and 7/16″ diameters with the option of a solid or hollow core. The standard length is 150 ft. However, Pacific also offers 1,000 ft. continuous. 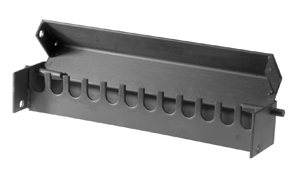 Pacific Lock Boxes provide a safe, secure and convenient method of storing 12 or 16 chain binders or chains. Pacific Lock Boxes have all steel construction. 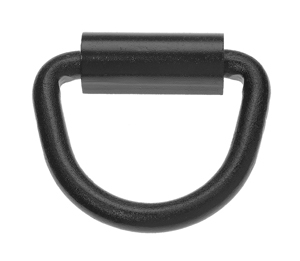 Pacific offers D-Ring Assemblies with an attaching hardware clip for tie-down applications. The welded steel rings have a black primer finish and have been load tested to 6,000 lbs. #6016 Holds 16 pcs. | #6012 Holds 12 pcs. Pacific offers two types of Heavy Duty Rubber Tarp Straps. The first is made in the U.S.A. from EPDM Synthetic Rubber Polymer and exhibits exceptional tensile strength, stretch resiliency, ozone resistance and cold working capabilities. The second is made from a Natural Rubber Polymer and exhibits excellent tensile strength, stretch resiliency, stretch recovery and high ozone resistance. Strap Length Overall Length Span Inches Weight 50 pcs. Warning: Pacific Rubber Tarp Straps are designed solely to hold tarp covers in place. *Tarp Straps should not be used for restraining or securing cargo. Overtensioning may cause the tarp strap to rupture! Sudden rupture or disconnection while in the stretched position may cause serious personal injury. Eye protection during tie-down and disconnection is required. 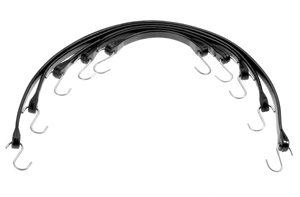 Discard any or all Rubber Tarp Straps if cut or cracked or if “S” Hooks are bent, damaged or corroded.